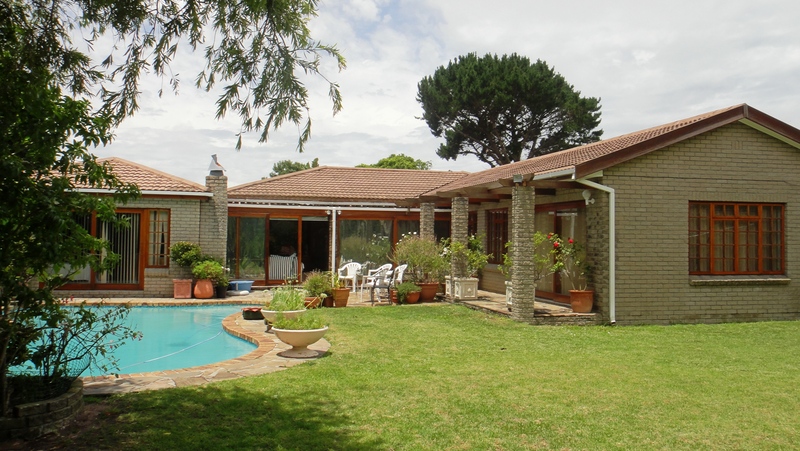 Versatile accommodation offered by this family home in Tokai’s Morningside area. Not to mention the price has been recently reduced by our serious seller to R3,295,000.00! This home has expanded its original footprint to stretch out into versatile living and working spaces. A double tandem garage plus carport provide ample parking. The entranceway takes you into a lounge with wood-burning fireplace which has been opened up to incorporate an enclosed patio. This links to a separate teen pad or flatlet with en-suite, ideal for entertaining or for houseguests. The bright, compact kitchen off the lounge has a back door to the drying yard. Along the corridor to the main bedroom you will find a discreet wine store and ample cupboard space. The airy main bedroom has a huge en-suite and sliding doors to the garden and pool. There are two further double bedrooms – one with en-suite shower room and the other serviced by a family bathroom. Adjacent is a handy hobby room. Wrap-around paved patio areas, a built-in braai and sparkling blue, salt chlorinated pool complete the outdoor space. The irrigation system is supplied by a wellpoint. Many happy years have been lived in this home and the decor could do with some updating but you have a solid foundation and great spaces to work with. View soonest by appointment only. ← Happy 2014 to you all!